With continuous research and development of internet technology, its reach continues to increase worldwide on a daily basis. One issue that has been causing concern to individuals, as well as the corporate world, is the increasing malware attacks and cyber-security on computers that are connected to the internet. To combat this menace, one solution that is widely-known and effective is online malware scanners. There is plenty anti-virus software available for download, however, we are trying to list the online only scanners. These scanners can help you identify security problems on your computer without downloading and installing the software locally. Based on our research on the web, most of the below-listed software are not comprehensive to fix problems. This software list can help you identify the security issues related to malware, spyware, virus, trojans and worms on a various popular operating system including Windows, Linux, and Mac OSX. The article lists the best online malware scanners. Based on in-the-cloud scanning technology, this online malware scanner, this technology detects the active malware on any computer in a minute. It is due to the fact that the main focus of this scanner is on the active e-threats and the detection process is performed by a remote server. Working as a virtual security officer, this scanner technology scans a comprehensive website that has been integrated with web servers, web applications, and additional perimeter servers for any vulnerability. In addition, this online scanner also enables the viewer to fix it before the attack of the hackers on the weak IT infrastructure. This online malware scanner provides one of the most comprehensive reports of different security tests such as Cross Site Scripting, Blind SQL Injection, HTTP Header Injection, Source Disclosure, PHP Code Injection, SQL and Injection among the others. The site notifies the scan report to the user by email and sends the vulnerability summary. This online malware scanner can be described as a comprehensive malware that detects unknown worms, viruses, phishing, spyware, Trojans and other types of internet threats and removes them effectively from the computers. In addition, it uses various browsers such as opera, Edge, Internet Explorer and Firefox among the others. This online scanner can be described mainly as on-demand antivirus software that identifies and removes unwanted browser plugins, worms, Trojans and viruses among the other malicious software. Some other features include smart feedback, smart scan, and review and restore files, enhanced scanning and vulnerability scans. If you think that your website has been attacked by malware or contains malware in any form, all you have to do is to copy and paste your website URL on this site. The latest fingerprinting technology of this site enables the owner to scan, monitor, and clean up any malware that is the main reason of any malfunctioning. If you are facing any malware problem, even if you have already installed a security software, this is the best choice for you. All you have to do is to click your mouse a couple of times and download this software. Completely free software, this online scanner has the capability to remove spyware and virus on the PC. This is one of the best and free online services that offer a comprehensive analysis of any SSL web server configuration that is on the public internet. This online service uses the information given by the user only for providing the service and does not store it for further use. With this online malware scanner, the user can protect his website with a blacklisting check, malware detection, site clean-up services among the other tools for a trusted and safe website. This is due to the fact that this online scanner scans the website for phishTank, potentially suspicious files, malware domain list and safe browsing. A seamless security service; this online malware scanner seamlessly integrates into the development process of a website and analyze it from the hacker’s perspective. Further, it also offers a comprehensive report about the latest vulnerability findings. This online malware scanner offers various types of free online tools for small businesses such as heuristics, anti-malware engines, customized securities policies, and data sanitization tools in order to protect your company from known as well as unknown threats that arise from the internet. A professional web security solution, the company offers a completely free and professional consultation from the engineers and security experts, and they offer information about how to protect the website from further internet attacks. The team also removes malware in a fast manner and tries to prevent future attacks. It is a fact that any website experiences many attacks on the daily basis, to combat this virus and malware attack, this website offers a regular and daily scanning to check whether there is any malware on the web pages. This step also prevents hackers from the distribution of the virus-infected software to the website visitors or customers. From the company servers, this online malware scanner performs a comprehensive network and web security scan for the benefits of the customers. For this performance, the customers do not require to install or download the software. In addition, it provides all details and remains active for an unlimited time period. 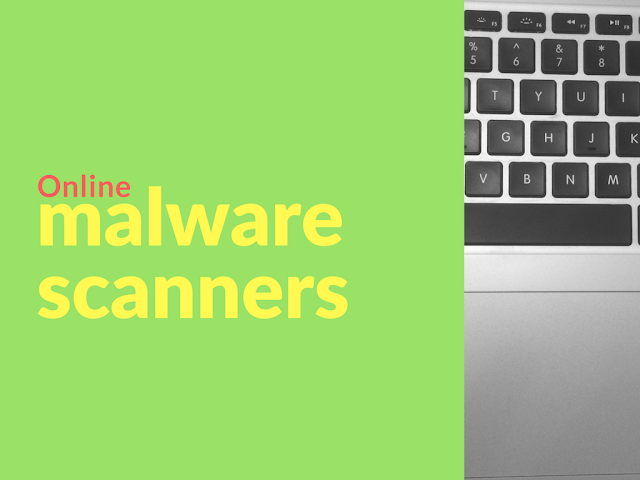 Now, you can scan your online website at the regular intervals through a daily or weekly scan by this online malware scanning website. The schedule that has been customized by you ensure that you are notified quickly if you are experiencing any issue with the internet virus or malware attack. A subsidiary of Google, this website offers a comprehensive free service that analyzes the suspicious URLs and files as well as enables the identification of worms, viruses, Trojans as well as any other type of malicious content. In addition, this service is also used to detect false positives such as malicious content that pose as innocent files. An online web application online malware scanner, this security scanner offers one of the most advanced scanning technologies across the world. This advanced technology includes the only desktop scanner that offers false positive free automated software that is offered to the customers for their benefit. This online malware scanner offers a free service that detects the malware and removes it from the file. If this malware is new, they update their signature datable and remove in from the file if it is possible. The site also offers the false positive option, from where you can get the second opinion about any file. If you want to check your website for any suspected malware attack on an immediate basis, all you have to do is to visit this website and paste your website URL for a comprehensive check-up on a quick basis. Investing in the data security is the top priority of any company and this company provides an affordable and comprehensive third-party security solution that thoroughly scans the company website. Further, it also identifies the venerable areas before your company website is hacked by malicious elements. A free service, the website of this organization enables the user to scan suspicious files with many anti-virus programs. As one time, the user can submit 5 files at one time. However, the size of the file is limited to 50 MB. The organization also shares the results with these anti-virus software companies so that their products should be improved. There are many online scanners in the market who offer free services, but also disturb your privacy by sharing the results of your websites with the anti-virus software companies, even if it is for making improvement in their products. If you do not want to share the result of your website with anyone, this is the best site for you. An advanced automated threat analysis system, the ATAS system has been designed for analysis and report the behavior of adware, Trojans, worms, computer viruses, and spyware among the others in an automated mode. If you suspect that you have downloaded a malicious program from the internet or there is a suspect file on your desktop or laptop computer, all you have to do is to visit this website and scan it online. The file would be searched on your computer and the server of the company would make a comprehensive check. You will get a confirmed email as a result to the provided email address. This software offers various features such as auto-sandbox, virus monitoring, and behavior analysis technologies for the protection of your computer and database from any known or unknown malware from the internet. An established company in the anti-virus software, it offers information and free diagnostic tool for the benefit of the customers. Protecting personal, professional or business database from any type of attacks such as the virus, worms or any other types of malicious elements has become an essential part of cyber-security. Hence, choosing an effective and budget-friendly anti-virus software or online malware scanner is quintessential for securing data and operating one's online business without hindrances. Article Updated April 2019 : Minor changes, updated introduction section and udpated links.